The Savior used chiasmus on occasion. In this chart Jesus Christ is quoting Isaiah (Esaias), embedding Isaiah's chiastic structure in his own larger discourse, which is also a chiasm. 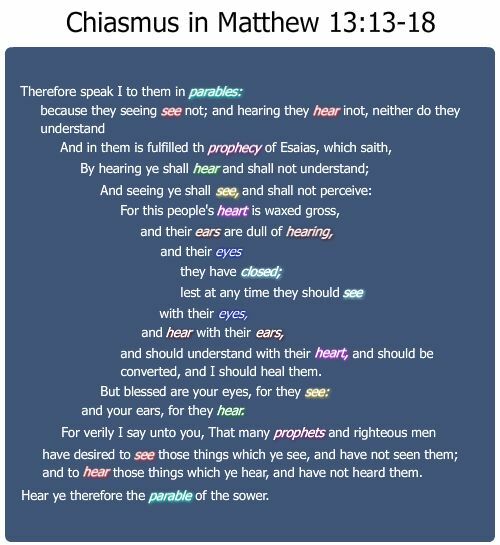 The Savior here begins and ends with a reference to parables and includes as the center of his chiasm the prophecy of Isaiah that many will close their eyes and refuse to see that Jesus is the Christ.